Anyone planning to visit Las Vegas in order to play their favorite casino games at some of the many great venues there will find themselves spoiled for choice. Vegas has too many stunning casinos to possibly name them all in one article, but there are a handful that particularly stand out, and that any casino games fan has to visit while they are there. When it comes to themed casinos, the Venetian and the Rio All Suite Hotel and Casino are two that you must visit, although they may appeal to different demographics. The theme for the former is Venice, complete with a painstaking replication of this beautiful and unique city, and the option of taking a ride on a gondola, before hitting the tables. This could make it an appealing option for couples, while the Rio is themed after the carnival held in that city – and is one of the most exciting and colorful casinos; ideal for younger visitors. On the other hand, for those who want their Vegas casino experience to offer the kind of once-in-a-lifetime-glamour and luxury that many associate the resort with, then either the Bellagio or the MGM Grand should meet all of those requirements. It is difficult to choose between these hotel/casinos when it comes to opulence and extravagance – with the Bellagio offering a casino so big that there is a whole floor just dedicated to slot machines – while the MGM Grand has thirty floors, five swimming pools and a variety of waterfalls and rivers. These are places for living out your Hollywood dreams during your stay, and you may find it hard to leave them at all during the visit. However, if you are visiting Vegas alone and just want the very best in casino gambling, then the Wynn Las Vegas could be just the ticket. This building is hardly unspectacular – the glass outer facade makes it sparkle like a diamond in the sun – but its reputation has primarily been built on the quality of casino gaming it offers. 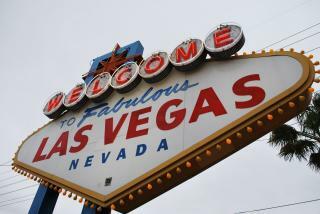 Do you have a favorite place to go when visiting Las Vegas?